Taking a hike or a pleasant walk in the woods is one of my favorite things to do at this time of year. On one of my recent walks, I spotted a beautiful pink flower, and I wondered for hours what it was. Have you ever found yourself wondering about the name of a flower or plant growing in the woods, around your neighborhood, or even in your own backyard? If you answered yes, I have great news for you! Finding out names and facts about plants and flowers is just an app download away. FlowerChecker: This is one of the simplest apps to use for identifying flowers, plants, lichens, moss, and fungi. 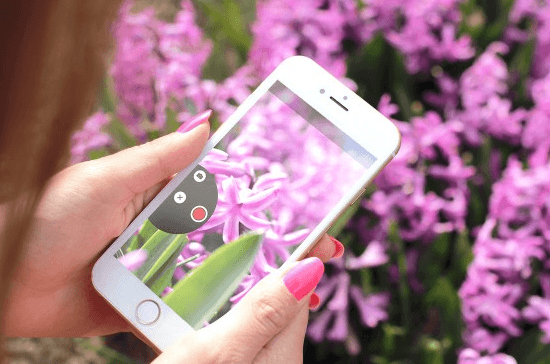 Once you download the app, use your phone to take a photo of the unknown plant or flower, then upload the photo to FlowerChecker. An expert botanist will send an answer to you identifying the plant. Generally, it takes just a few minutes. It costs 99 cents to download this app for Android or iOS, and there’s a $1 service fee for each identification. Garden Answers: This app helps you identify plants, trees, flowers, shrubs, and more. Take a photo of the plant you want to learn about and upload it: There’s an automated option to help you identify the plant, or you can submit your photo to their team of experienced horticulturalists, who will reply within minutes with the identity of the plant, tree, or flower for a fee of $1.99. You can save identified plants in your Favorites tab. Available for Android and iOS, this free app is highly rated with users. PlantSnap: Download this app for $2.99 on Google Play or $3.99 on iTunes and find out the name of that mysterious tree, flower, or plant within minutes. You can also receive automatic updates whenever new plants are added to the catalog. When you want to identify a plant, simply take a picture of it and submit your photo. The answer you receive includes the plant’s identity, its family, and more. What’s That Flower? Download this Android app for free and enter the number of petals of the flower, its color, and its habitat. This app conducts a search based on that information, narrowing your results down to a few dozen possibilities. Scroll through the results and find the flower you’re looking at to learn more about it. Plantifier: This plant and flower identification app is free to download. Take a photo of the plant you want to learn about and upload it, and the users of the MyGarden.org community will work to identify the plant and give you some facts on it. LeafSnap: There is no cost to download the LeafSnap app onto your iPhone or iPad. Take a leaf off of the unidentified tree, put it on a white background, take a photo, and upload it: Within a few minutes, you’ll receive the identity of the tree. If there is not a conclusive result, you’ll be sent several options to look through and compare with your leaf.